The 1964 Tokyo Olympics had a profound impact on the capital city and the nation. 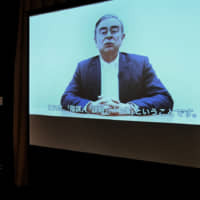 In the final installment of a five-part series running this month, best-selling author Robert Whiting, who lived in Japan at the time, focuses on the environmental and human impact that resulted from hosting the event. 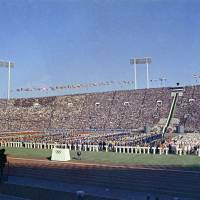 If for the Japanese the 1964 Summer Olympics was a blaze of glory, it also cast some shadows. The transformation of Tokyo from a war-ravaged city into a major international capital, seemingly overnight, had a dark side that was rarely talked about. The games were in fact responsible for a great deal of environmental destruction and human misery in the capital and its environs, as I can attest to as one who was there. 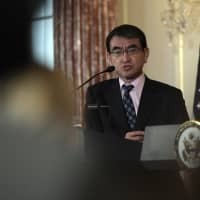 The goal was to impress the rest of the world with the high level of Japanese technological achievement, as the global media focused on the Tokyo Olympics. Thanks primarily to the haste (and also to dirty politics and graft), the project wound up costing $1 billion, twice what the original budget called for (and roughly one-third the total cost of the games) and the JNR president was compelled to resign. 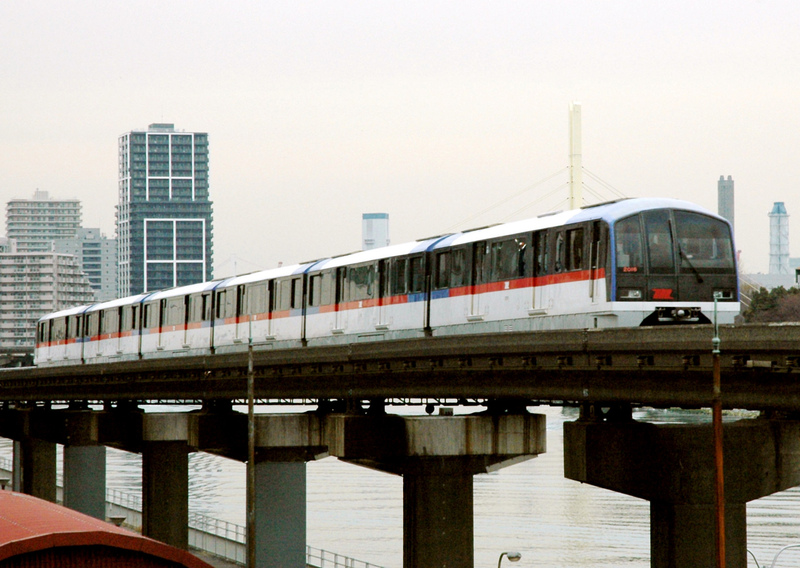 The funds diverted to cover the expanding costs of the shinkansen took money away from other projects, like the monorail, which had originally been intended to link Haneda Airport to the city center. Instead it wound up terminating in Hamamatsucho, a less convenient station several stops away. There was simply not enough capital to buy the land and extend the line to a more logical location like Tokyo Station or Shimbashi, for which the monorail company had acquired a license. 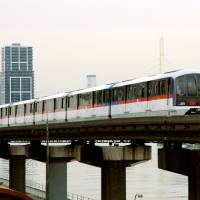 Moreover, in order to avoid buying expensive privately owned land for the monorail, its builders constructed it over water on a route provided gratis by the municipal government, covering the rivers, canals and sea areas below with landfill and concrete in the process. Fishing permits held by local fishing cooperatives in these districts were revoked by city hall and many local fishing jobs were lost. A seaweed field in Omori in Ota Ward, from which a prized delicacy, Omori no nori, had been harvested since the Edo Period (1603-1868), simply disappeared. The lack of funds affected highway construction as well, as it also became necessary to build overhead expressways above the existing rivers and canals to avoid purchasing land. Among the many eyesores that resulted from this arrangement is that of the iconic Meiji Era bridge at Nihonbashi, an historic terminus for the old Tokaido Road footpath and economic center (and the zero point from which all distances are measured in Japan). The bridge had been built back in the Meiji Era (1868-1912) so that it would provide a view of Mt. Fuji for anyone crossing from the east side to the west. I remember taking a walk along the canal to see the famous bridge, shortly before the games began. I was dismayed to see its once-charming appearance completely ruined by the massive highway just a few feet overhead, like a giant concrete lid, obliterating the sky. The smell from the toxic water in the canal was so offensive I had to cover my nose. I imagined Mt. Fuji, looking on from afar, doing the same. The reconstruction effort for the Olympics cost Tokyo much of its navigable waterways. By planting the supporting columns of the highways and other structures in the water below, many river docks were rendered useless, costing even more jobs. Water stagnated, fish died and biochemical sludge, known as hedoro in Japanese, formed. Tokyo’s estuaries, many of them already polluted with industrial waste raw sewage, increasingly became putrid cesspools. Some were simply buried with debris from construction and the tearing down of World War II-era structures. Others were filled with concrete and turned into roads. Life did not return to the Sumida River and other connected waterways for several years, and when it did it was in the form of germs. Yet, another adverse effect of the 1964 Olympic effort was the depopulation of residential areas. Although lack of eminent domain laws in Japan supposedly protected residents, Japanese authorities nonetheless found ways to compel people out of their homes in order to facilitate construction, offering small sums of money and appealing to a recalcitrant tenant’s sense of patriotism to get him to move, or, failing that, turning to intimidation in the form of tax harassment, public shaming or the investigation of violations of minor city codes. The inhabitants of more than 100 houses near the site where the Olympic Stadium was planned had been forced to move in order to make way for the stadium and a surrounding parking lot. The greenery that covered the area was removed and a nearby river buried in concrete. Among the hard-hit areas were Bunkyo Ward and Chiyoda Ward, in the center of the city, where many small single-family residences were condemned to be torn down and the people living inside forced to move to new dwellings outside the city. Because of the decrease in population in these areas, several primary and secondary schools closed down. Massive new Soviet-style New Town developments called danchi became the destinations for many of the displaced people. Another casualty of the 1964 Olympics was the trolley lines, which had been a cheap, reliable and pleasant way of getting around the city. The elimination of two major lines in street-widening schemes caused a corresponding increase in vehicular traffic and a worsening of the air quality in Tokyo, and set the stage for the removal of almost all the other trolley lines in the city. Corruption, in the form of dango (bid-rigging) and price collusion, a well-known fact of life in postwar construction in Japan, also reared its ugly head during the pre-Olympic years. 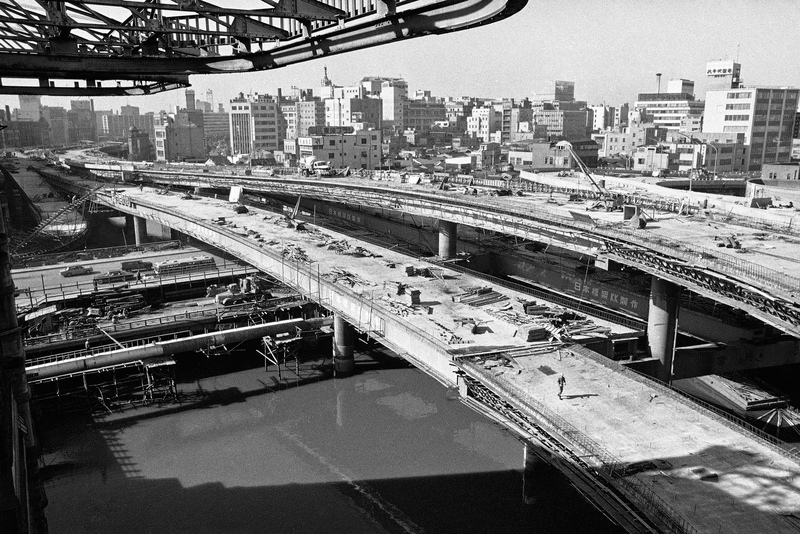 Many construction firms were fronts for organized crime, while yakuza gangs were a fixture at most construction sites. They brought in the laborers, supplied temporary lodging, ran the food concessions, the after-hours gambling dens and brothels and, of course, provided “protection.” With taxpayer money siphoned off to line the pockets of corrupt politicians and underworld bosses, the subsequent cost-cutting often resulted in shoddy work. The use of sand from the sea when mixing concrete, for example, caused the internal rebar and steel beams used in highway construction to rust prematurely. The practice also caused parts of the supporting pillars of the Hanshin Meishin Expressway running from Tokyo to Osaka through Nagoya, to collapse in the 1995 Great Hanshin Earthquake. One might also mention the matter of dishonest real estate agents in league with JNR officials and LDP politicians buying up land in Shin-Yokohama on false promises that a Nissan/Ford plant would be built and provide many jobs, when in fact the land was used for Shin-Yokohama Station. This subterfuge was portrayed in the novel, and hit film, “Kuro No Cho Tokkyu.” Investigations were conducted, but since key principals had left the country to avoid prosecution (after being paid handsomely by their employers, who successfully covered their tracks) no one ever went to jail. Finally, much has been made of stray dogs killed in Sochi, Russia, but there was also a massacre in Tokyo on a much greater scale. During World War II, the Japanese government had mercilessly slaughtered dogs, cats and zoo animals in the name of food scarcity and disease prevention. 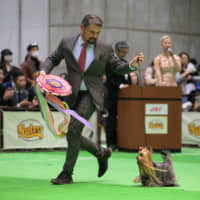 Another sweep of strays was undertaken before the Tokyo Games, this time primarily for cosmetic reasons. In the 1940s the unfortunate creatures had been rounded up, stuffed in canvas bags and beaten to death with clubs. By 1964, however, a technologically more advanced method had been developed, using a contraption that suffocated animals with carbon dioxide. It resulted in the deaths of an estimated 200,000 cats and dogs in the year before the start of the Olympics. The Tokyo Olympics and their aftermath made for a culminating moment in my life as well as that of the Japanese. I had a ringside seat to the metamorphosis taking place at all levels of the society and it was quite intoxicating. Even after the athletes departed and the stadiums went silent, the buzz and the energy remained. Per capita GDP continued to rise steadily to more than triple over the course of the decade. The “economic miracle” was in full swing. 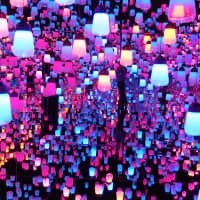 The city of Tokyo was making it clear it was going to be a force to be reckoned with from now on — in industry, commerce, culture, sports and nightlife. I had been in the country for nearly three years and was due for a discharge the following March. By that time I had become hopelessly addicted to the capital and I had decided to stay on and enroll in Sophia University. My “best friendship” with Dr. Sato was by then already on the wane. I later found out I had been replaced as his tutor — by a pretty blonde exchange student from Minnesota. But that was not even a minor consideration. I liked the energy of the city, the nonstop activity, the politeness, the orderliness, the efficiency, the trains that always arrived on time, the mix of the old and new, the temples, the shrines, the crowds, the bright neon lights, the charm and the uniqueness of it all. Tokyo was a city where umbrellas appeared as if by magic at the very first raindrop. It was a city where taxi doors opened automatically for you. It was a city where if you lost your wallet or purse, you could go to the police station, and the cops as a matter of policy, would loan you ¥1,000 so you could make it back home. If you were a young man, naive, from a small town searching for an identity, Tokyo was not a bad place to be while you looked. It may have not been the traditional path to self-discovery overseas that, in those days, many people believed lay in Paris, but that was because people didn’t know that much about it. Tokyo offered endless little adventures, constant stimulation and new worlds for discovery. Who wouldn’t want to hang around? An interesting aside of the 1964 Olympics was the Tokugawa curse. Many facilities built for the Tokyo Games were placed on former Tokugawa land. Tokyo Prince Hotel, by the Seibu group, which own one-sixth of all the real estate in Japan, was built on land that once housed the graves of Tokugawa family members. Parts of Zojoji, the temple of the shogun, burned during WWII. Post-war, the Seibu Tsutsumis grabbed much land from former Imperial princes who lost their holdings due to GHQ (the General Headquarters, Supreme Commander for the Allied Powers) purges and taxation. Along the way, Seibu also obtained former grave sites maintained by Zojoji and built the Tokyo Prince Hotel in time for the 1964 Games. Shiba bowling alley and a golf driving range were also built on Tokugawa grave sites. Tokyo Tower also has one of its legs on former grave plot land. Many deaths that happened during the construction of Tokyo Tower were blamed on the Tokugawa curse. The later collapse of the Seibu business empire is often said to be caused partially by the curse of the Tokugawa ghosts. Most of it stemmed from the 1964 construction that disrespected former grave sites. Already the people living in public housing in Kasumigaoka Apartments near Sendagaya, for example, are being forced out and relocated to more remote areas. Tokyo Metro owns this public housing and has condemned it to create a larger stadium in the Yoyogi area. Ironically, some of the people living there now came to be living there as a result of being forced out of their original housing during construction for the 1964 Games. Lightning did indeed strike twice for them. 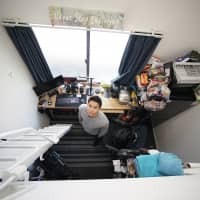 A Reuters story detailed the plight of a Tokyo resident Kohei Jinno, 79, who had been forced to move from his house to make way for the National Stadium complex. Now he has to move again. The public housing complex where he and his wife live is slated to be destroyed as part of construction for a new stadium for the 2020 Summer Games. “Fate had not been kind to me,” he was quoted as saying, with some understatement. Jiage, a well-known practice in Tokyo real estate during the economic bubble era, will rear its ugly head again. For the 1964 Games, the U.S. handover of Washington Heights to create Yoyogi Park and the National Stadium alleviated the need for jiage in central Tokyo. This time, however, there is no such large area to be conveniently handed over. Much of the jiage will no doubt focus on Tsukiji, whose fish market is slated to move out. The businesses and homes surrounding the market will suffer greatly. 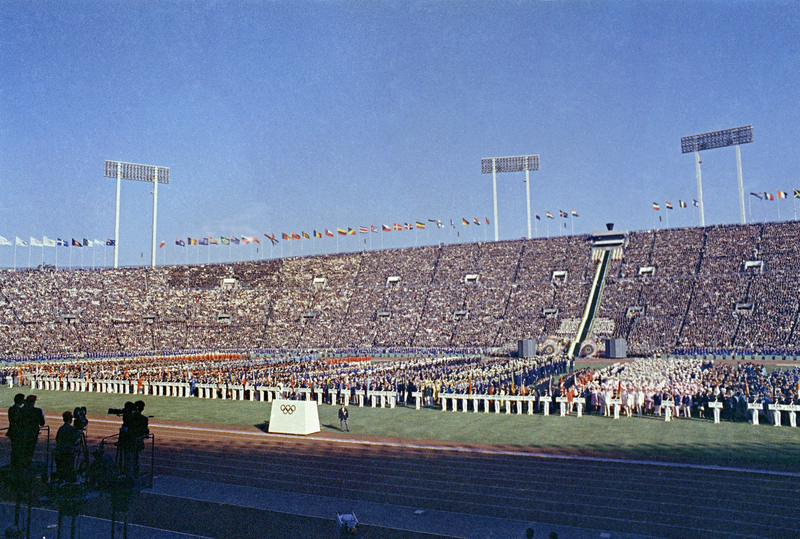 During the run-up to the 1964 Games, the Japanese media loudly fanned the Olympic flames, declaring them to be the best thing ever for the Japanese people. All true Japanese had to support the games 100 percent, more if humanly possible. Those who opposed the games were Hikokumin, or traitors to Dai Nippon. It smacked of World War II propaganda. Now the media appears to be doing the same thing. Citizens, already having to cope with an increase in the shohizei (national sales tax) from 5 percent to 8 percent (and possibly 10 percent next year), will no doubt have to face even higher taxes to pay for the games, estimated to cost at least ¥455.4 billion ($5 billion), but will surely double, and perhaps triple, by the time 2020 rolls around. With a crippling debt of nearly $11 trillion, some 230 percent of GDP, the 2020 Olympics could be the hardest burden to bear, to borrow from a well-worn cliche, if costs start to spiral out of control. Organized crime will, of course, participate. The ’64 Games saw large numbers of Koreans brought into Japan as cheap, underpaid labor by various gumi (gangster organizations). Many stayed after that. These “undocumented”people suddenly got “Special Permanent Residence” status after working on their respective constructions projects, and they chain-immigrated family to Japan as well. There will likely be a repeat of this for the 2020 Games, although this time, expect to see more Chinese, Filipinos, Indonesians and others in the mix. 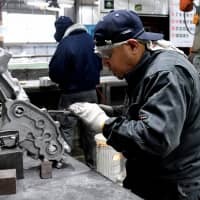 Construction companies will want cheap labor, and they are already pressuring Abe and the LDP to set up a massive “‘immigration” measure to bring in what will amount to what some say will be slave labor from various Asian nations. On top of that, there have been published reports of JOC executives having contacts with organized crime groups in Japan. Of that, I am not at all surprised to hear. The decision to hold the games in late July and early August when the temperature is in the mid-to-high 30s and the humidity above 80 percent (the JOC bid document submitted in Buenos Aires maintained ingeniously that the weather in Tokyo at that time of year is “mild and sunny” and “an ideal climate for athletes to perform at their best”) was another problem area. According to studies by Sports Science Australia, playing competitive sports at those temperatures is an extreme risk for athletes. It was particularly dangerous for marathoners. 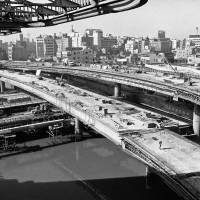 One interesting note is a recent push by a group of business executives who mainly work in the Nihonbashi and surrounding areas calling for a removal of the elevated expressway over Nihonbashi Bridge, before 2020. Plans the group proposed include moving a 50-km section of the 300-km Metropolitan Expressway underground. This would certainly beautify the area and be a good start to reclaiming Japan’s historical and aesthetic heritage. However, this will not exactly be a low-cost operation. Estimates peg the proposed renewal at ¥3.8 trillion ($3.5 billion), which is nearly as much as the proposed budget for the 2020 Games. 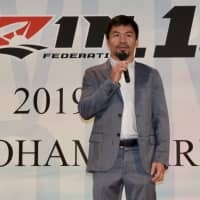 The 2020 Olympics may lift the spirit of the Japanese people, but there will certainly be a price to pay for the privilege. Let’s hope it is not too much.